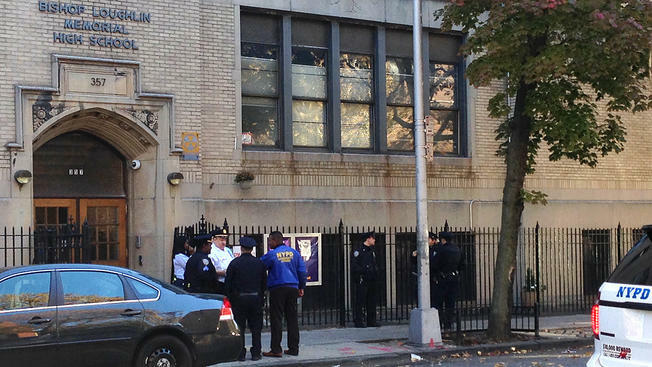 Classes at a Brooklyn high school were canceled Wednesday after someone posted a threat against the institution on Facebook, police say. The threat against Bishop Loughlin Memorial High School on Clermont Avenue in Fort Greene was posted online Wednesday but was later removed, according to the NYPD. Detectives are looking into the threat and say they know who posted it. The Catholic school posted a message on its website later in the morning alerting parents and students that classes wouldn't be held "due to an emergency."